Subaru deserves one hell of a standing ovation with the gutsy call he decided to make here. The guy went through hell this episode in a lot of ways and by the end…he finally made his decision. Subaru is the kind of lead that will stumble, struggle, and suffer. He is also the type that will stand back up in the very end and keep fighting to save those he cares about. With only this kind of curse put on him to keep on coming back, he’ll keep on doing everything he possibly can. By the end he really had to face himself. Sure, he did this kind of thing on a smaller scale at different times. But, this time he really had to dig deep to find the courage and determination he needed. 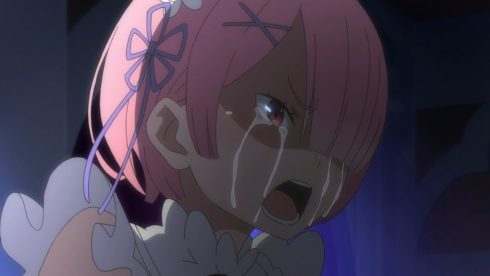 If Subaru only wanted to live that is one thing. He could have continued clinging to Beatrice and let her take him to safety. If nothing else he had that option. No matter how rage filled Ram was, Beatrice was likely capable of getting him out of there alive. 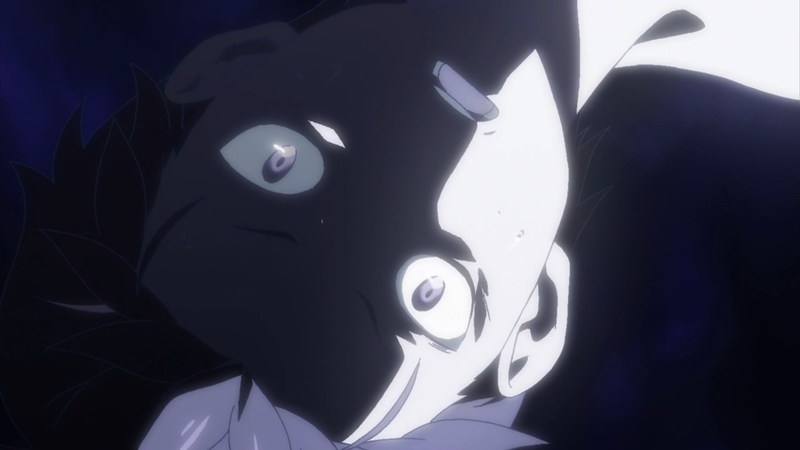 The great thing with Subaru is that when it came to despair he couldn’t throw himself over the cliff. But when it came to wanting to save the people around him that he loves….that’s when he could do it. Even knowing he might not come back, he still threw himself. There was no guarantee and yet he tried. Subaru has no idea what limits are on his ability, but he was willing to risk it all for that happy ending. It became more than just about the date with Emilia. We gained a crazy amount of intel in this episode, so much of the mystery is pulled back. But, there is a lot we and Subaru don’t know. What we do know is that his ability isn’t something inherent to him, but something given to him by this Witch of Jealousy. That’s pretty interesting. The fact that specific individuals can pick up her scent on him is definitely interesting. But, it also explains a great deal of trouble. Rem, Beatrice, and probably Ram can all pick that up. Who knows how many others can. No wonder he’s so darn suspicious in that case. This just opens up a boatload of questions though. Why? Why is this happening to Subaru? We can presume from this that she is the one that summoned him to this world. Certainly someone powerful enough to manipulate death itself could do that. But why? Why him? Whatever her motivations it is clear that she doesn’t want Subaru blabbing about it. Literally putting the fear of death into him when he tried to speak up. So….he has to do all this without anyone knowing he’s reviving over and over. That’s just cruel. But, it does give him a chance to find a solution so I’m not sure if it isn’t still sort of kind? 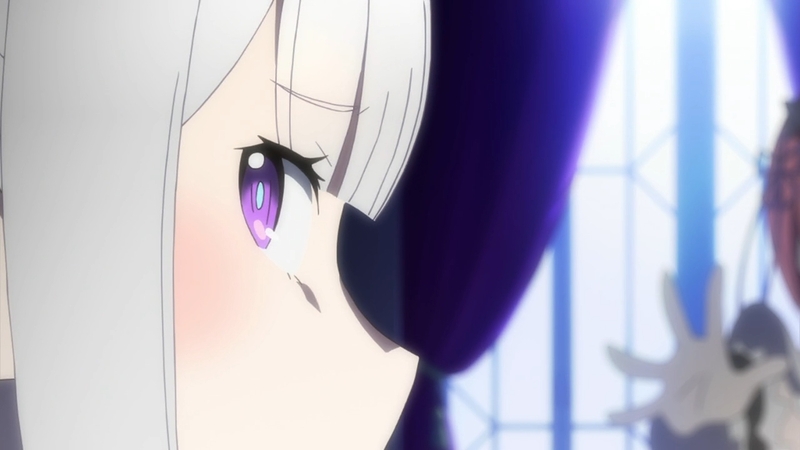 Now I’m getting weird theories of future Emilia being the Witch of Envy. That she’s trying to have Subaru save the current version of her or something like that. I don’t know. Either way it seems a safe bet that Emilia has a connection to this person. Is she trying to help Emilia? Putting Subaru around her seems to imply that, but who knows. This person hardly has a good reputation, I mean Witch of Envy isn’t a cheerful title. Lot of questions there. 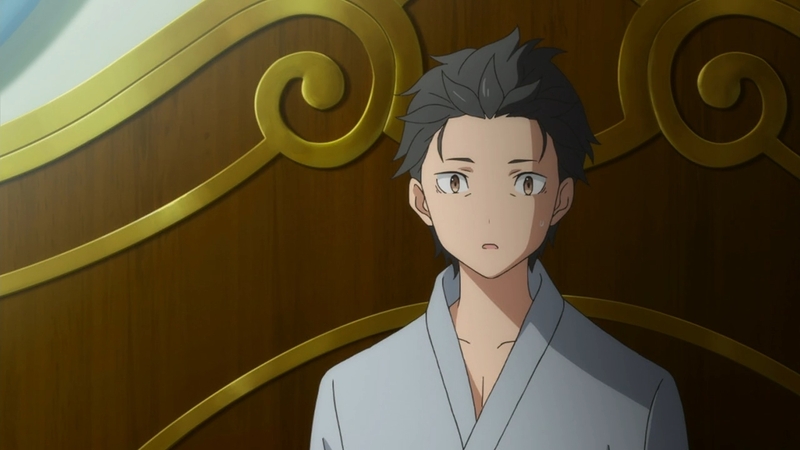 But poor Subaru…I don’t think I’d stay sane in his position. The amount of PTSD he is dealing with at this point is probably pretty nuts. This whole run he struggled to maintain his sanity. And who could blame him? 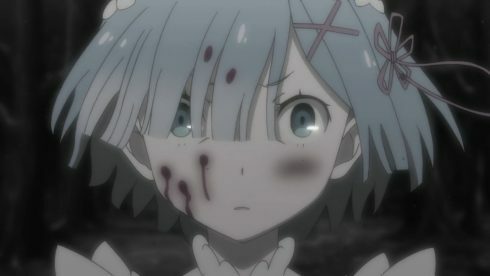 Rem brutally killed him. She beat him up and interrogated him. Of course she doesn’t understand the whole situation and this route she knew him the least well. But, it still was a mental scar that he couldn’t escape. He really hurt this time around and I felt for him. Sure, it makes sense why he’s under so much suspicion. Especially with the whole “smell of the witch” going on here. But, it still hurt him since he doesn’t know anything. He doesn’t know who this Witch of Envy is or what she wants from him. And really a lot of the rage just plain came from Rem’s jealousy. 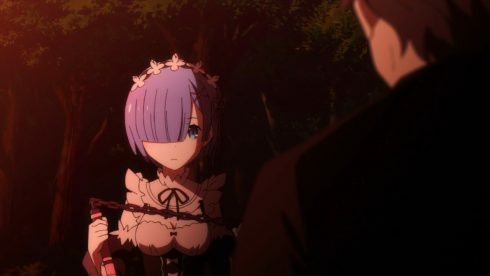 Subaru was getting along pretty well with Ram and that just pissed Rem off. That combined with him looking suspicious and actually smelling suspicious just pushed her over the edge. Whether he hung out near the mansion or not she was going to try and hunt him down. 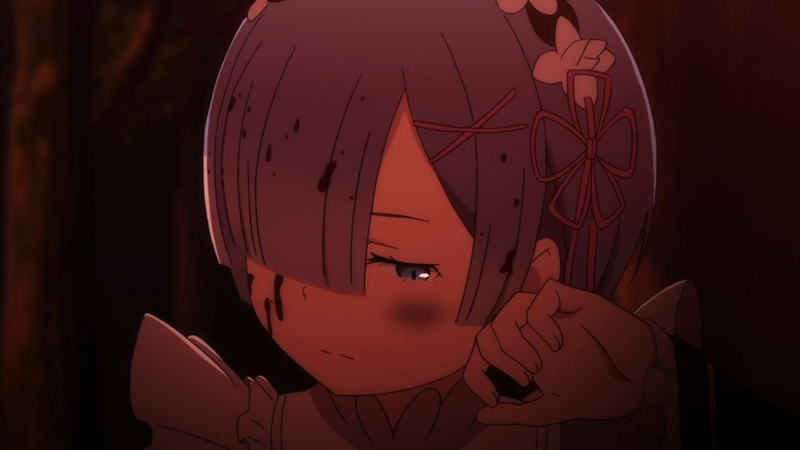 That Subaru can still find it in himself to risk it all to save Rem, Ram, Beatrice, everyone. I don’t know if I’d have that in me. I can understand the smiles, the goodness, the love Rem/Ram have for each other, and even the kindness of Beatrice. But, I’d find it hard to see past the rage and murder. I’d find that hard, if not impossible. In the end he does love those guys. That’s what it comes down to here. He can’t just sit around and let them die. He just cares about them and so he’ll risk it all in order to find the way forward. If he doesn’t know enough about them to save them….then he’ll learn more. He’ll learn and find a way to the ending he wants. Even if he’s hated along the way, he’ll figure it out. The problem is that there is more going on than just Subaru’s safety. What I was thinking was a single crime was unfortunately more complicated. There is actually the shaman killer at work here and also the Rem situation. 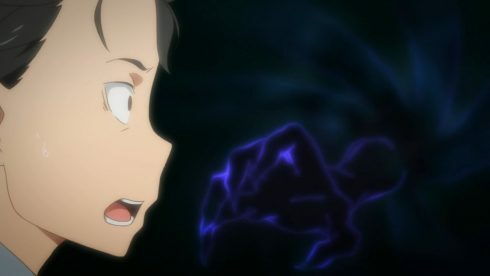 Subaru was likely one victim of the shaman in the first route. The fact that no one else died here makes me think that that person can only kill one at a time. Either way the Shaman probably was at work in the first case. Maybe also the second where Rem found Subaru and then finished him off. Of course possible he was poisoned that second time, but there’s no way to be 100% sure. For the time being we know there is one outside killer involved. Subaru has a tough job ahead of him there. 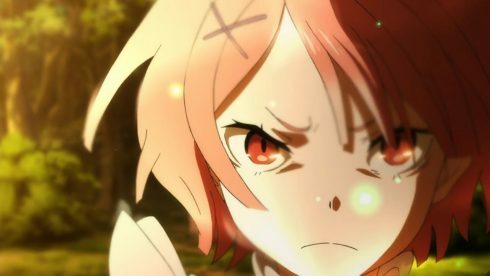 Finding a way to get closer to Rem/Ram without them trying to kill him and also dealing with the outside threat. We’ve seen how vicious these girls can get when they consider you a threat. Of course I still lean to Ram being in general less violent. Her sister was killed here, it’s understandable that she’d lash out. All the more so when Subaru (for good reason) is being hesitant to volunteer information. He just couldn’t handle it anymore. For others that looked suspicious…for him he was just struggling to wrap his head around it. 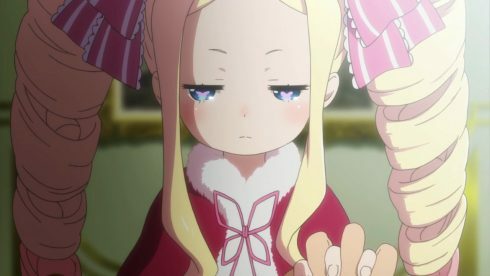 This time around there was more focus on Subaru himself, but also a friendship with Beatrice. In her own way she is a kind person, just not very polite with people. While she was guilted into going to see Subaru because of Puck and Emilia being so concerned about Subaru….she did still go to see him. 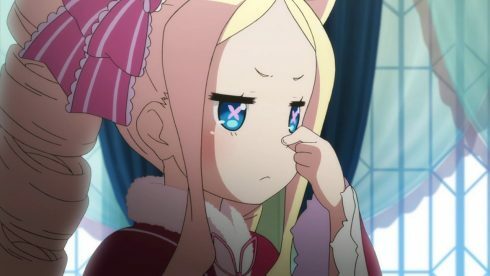 Plus in the end she did agree to Subaru’s request. While Beatrice doesn’t know all the facts, I’m sure she still understands when someone is pressured like Subaru was. She knows enough to know Subaru is in the midst of something crazy here. Plus she is a very dutiful person. The moment she took on the job of protecting Subaru, she followed through on it. It didn’t matter if Roswaal himself was ready to fight, that Ram was ready to fight, or whether she was at a disadvantage. She promised Subaru she’d keep him safe. Just because he reached the morning he wanted to see, that didn’t matter. She’s not the type that will abandon someone on a technicality. 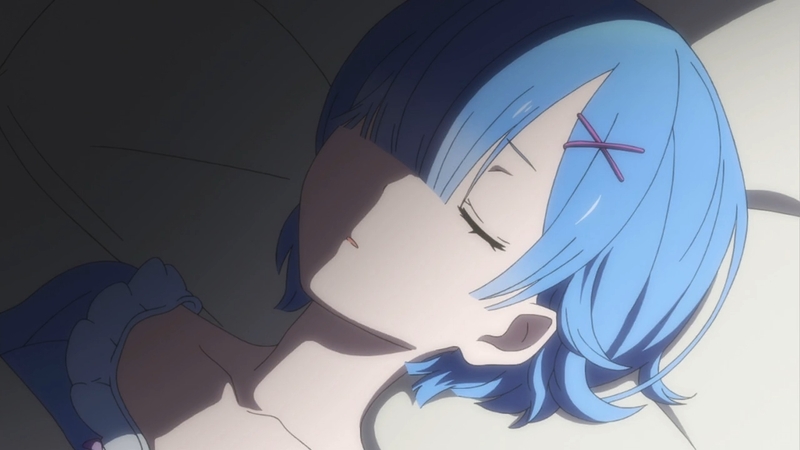 It was a pretty tense time after Rem passed. 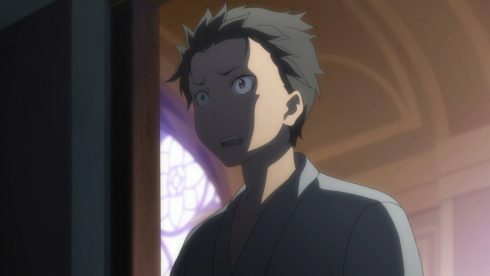 I was kind of with Subaru in being shocked at that one. I mean…damn. There really was another threat. 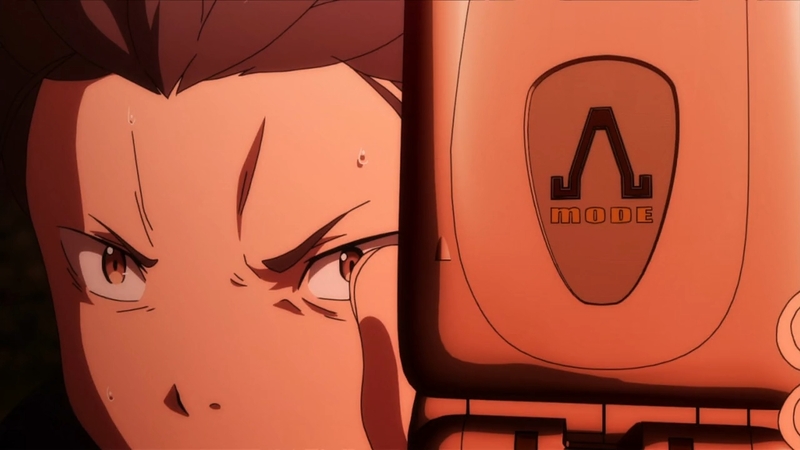 Subaru managed to keep himself safe, but that didn’t mean everyone was safe. Just adds to the difficulty involved in all this. He has to save himself, Rem, and anyone else there. That’s just harsh, but the role he’s decided to take onto himself. This was probably the least positive things went for Subaru and Emilia anyways. 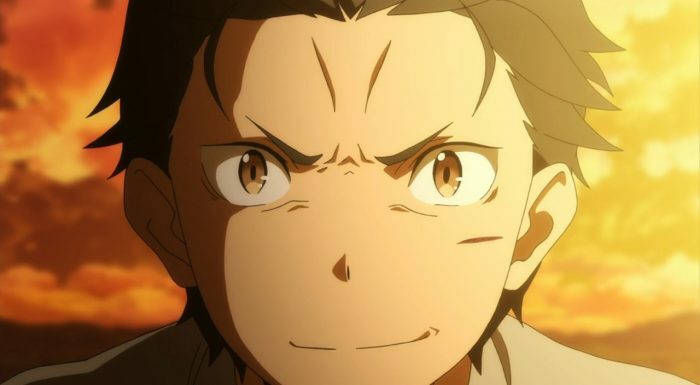 Understandable, Subaru just didn’t have it in him this time to be positive and friendly. He was hurting, depressed, and traumatized. Even getting to the point where he asked Emilia not to get involved with him. That probably hurt quite a bit with whatever her personal situation is. Even in this route she has a lot of faith in Subaru. He risked everything to protect her and I can understand her wanting to do the same. Even though she has her own suspicions…she still wanted to believe in Subaru. 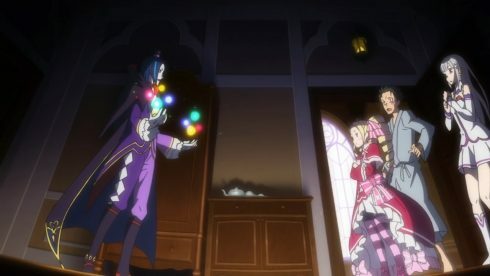 In the end this was a great episode. Very emotional, dramatic, and depressing at times. 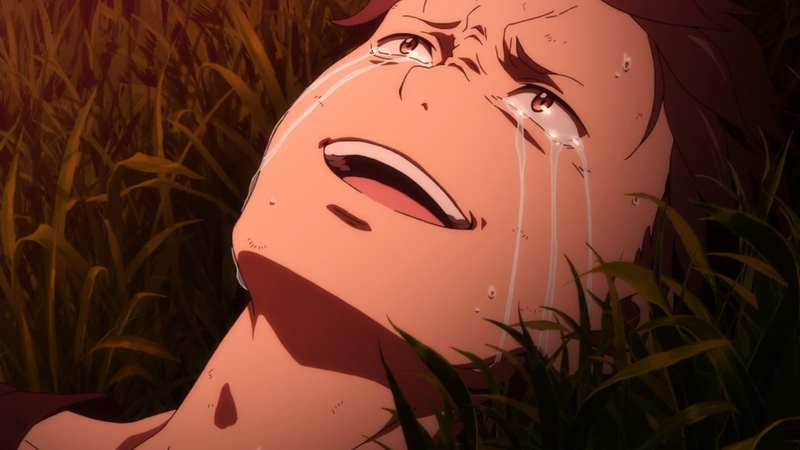 But, Subaru found the courage to keep pushing forward. He may be using death as a restart this time around, but he’s still going to keep on fighting. He’s doing it because he’s not going to quit until he can get those people to understand how much he cares and for them all to get out of this alive. He knows more, but he also needs more information. The key thing is learning important things about Rem, Ram, Beatrice, everyone. He has to get to the bottom of this current situation, find the assassin and get out of it alive. A tough job. I wish him the best in that though. 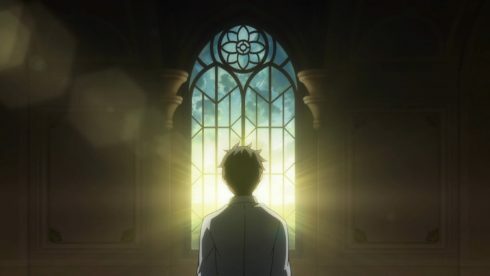 Subaru deserves to find what peaceful moments he can. Work towards that Emilia date!